Cast: 8 m, 8 w, 4 children, extras. It is Christmastime, 1855, in a small fishing village in Maine. The mayor and his wife try to keep the villagers on their toes with harbor rules and planning of a traditional Christmas Eve celebration, but the villagers are reluctant to work together. During a relentless snowstorm, Holly, a young mother, finds solace and shelter in the town’s Nativity stable where she nestles her son in the manger. While she sleeps, her is baby taken. Quickly, Prophyte Harbor rallies around Holly and helps search for her missing son. God’s messengers provide saving grace in a tough situation. It is in the light of the Nativity that these villagers find the true meaning of Christmas as they experience it firsthand. The miracle of the unexpected is a message of hope and love. As we look on, we too are reminded that it is His light that shines for us in every darkness, helping us to find our way and filling our hearts with the love of the Christ child. It is a gift, freely given, so we may experience the unconditional love of the Savior. Includes six original songs, including "A Miracle" and "Christmas Is His Story." About an hour. When our children were small we would drive around town at Christmas to look at the lights. Every time we came to a nativity scene our daughter would ask us to stop so she could look at it up close. She would get out of the car and walk to where the baby Jesus was placed. She would stand and look at him for the longest time as if she was checking on him to make sure he was okay. I wanted to write "In the Light of the Nativity" and make the town square nativity a focal point of this small village. I wanted the message of the manger to be portrayed in this make-shift stable. God comes to us in so many different ways, but it all began in a stable. To quote Gabriel in the play, "Mary and Joseph had nothing, they had no place to even rest for the night. Someone let them use their stable, then the greatest miracle of all happened- in a stable." WHAT IS YOUR FAVORITE PART OR LINE IN THE PLAY? Hannah, one of the angels, is talking to four of the children and telling them at some point they would help Holly to find her baby. She goes on to say, "There will come a time when all of you will help. I will not fail to call upon you. It will soon be Christmas, and for Prophyte Harbor there will never be another Christmas like this one. For it is in the light of the nativity that Christ reveals himself to His people. Watch for His light." This is the miracle of the birth of Christ and through His light we may know Him. This is my favorite part because I know that Jesus was sent by God to us, "And the Word became flesh." Many of the characters are villagers, but each one has a purpose. I have written several different dynamics into this play, because life happens. The main person, Holly, is a young woman fleeing her home in the middle of the night to get away from an abusive husband. She looks for shelter for her and her small baby and goes to the stable of the town square nativity during a snowstorm. From there, angels sent by God protect them. The mayor and his wife keep everyone in an uproar over town rules, but they too find the light in the middle of darkness. Many characters are written to support the storyline by adding the human side to it. They soon learn that Christmas is love and through the angels His story is retold that all may hear and believe. I want people to know God. I want them to hear the message of the manger. This is the greatest story ever told, and I don't want it to become a story everyone thinks in there heads, "Well, there is Mary and Joseph and the baby Jesus, some angels, a few shepherds and Wisemen" . There is a lot more to it then that. I want people to see Jesus with new eyes and stand in awe of the miracle of Christmas. He was and is a gift. 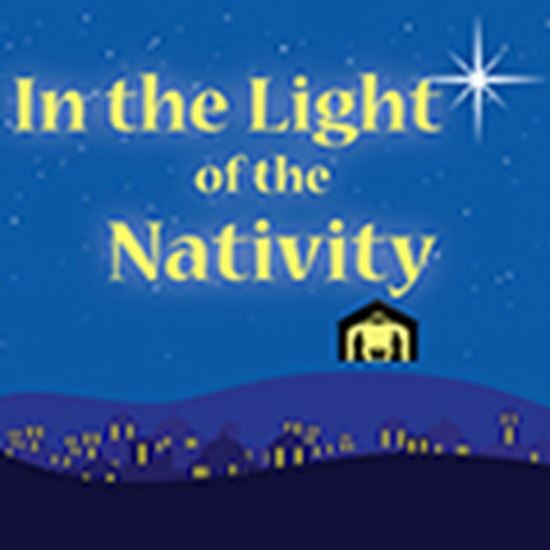 At the end of this play, Gabriel stands before the audience and says, "Just as you have come tonight, because you are drawn to this place of peace, let it be known, the Lord of Lords, your God and my God, comes to you in the light of the Nativity". I want people to feel that there is always hope and God loves all of us unconditionally. I have written several plays over the past twelve years but not one was written without God guiding me along the way. He inspired and directed all I have written. My Drama Ministry team has seen this over and over again. Just when I thought a scene was complete, God rewrote it. I have found my faith through writing because I have never done it alone, God has walked with me through some of the darkest times of my life. He is the light of the nativity, the light in our lives.